It’s not a terrible thing for a game when the worst complaint I have about it is that it is compared to another game too often. Case in point: If there were no zombies, would anyone be comparing Killing Floor: Incursion to Arizona Sunshine? If you’re into zombie killing games, a correlation can undoubtedly be made. Too often, though, players conflate a shared subgenre with further similarities, and Killing Floor: Incursion suffers for it. Yeah, I said it. 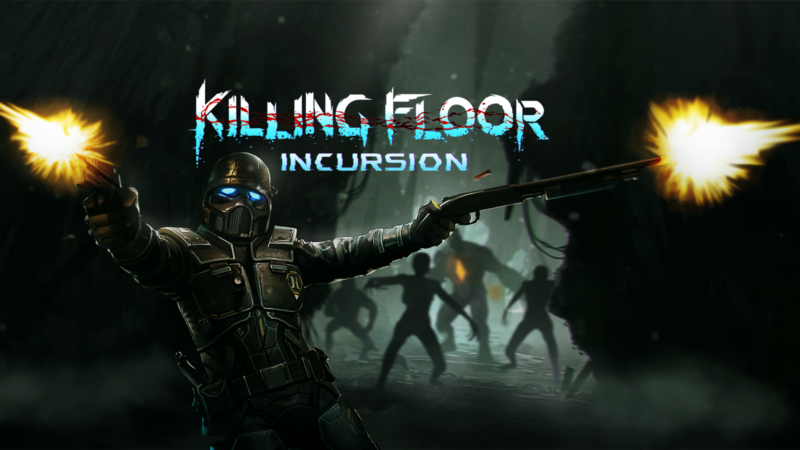 Killing Floor: Incursion is the better game, by a country mile. Speaking of a country mile, you’re going to be walking a few. Incursion covers a lot of space, though it does so at a pace that feels more like a swagger than a sprint. You’re not running, nor fleeing in a particularly concerned manner. You’re here for a cheeky fight with a wave of zombies and maybe one good friend. Stroll in like a boss and take your licks, Sergeant. This devotion to uncomfortably slow movement would be a detractor in another game. Here, it works well to create tension and remind players that their actions have limits. Sure, you’re in a simulation, and you should theoretically be able to run as fast as you can in real life. How long can you run, though? Would careening into the next room completely blind really be a good idea? No. You’re training here. While we all know the movement issue is a limitation of current graphics and processing hardware, the lesson sticks. The first time you round a corner in an attempt to flee and find yourself buried under a comically large pile of Zed, you learn to take your time and clear the space before moving along. That’s not to say the pace of movement and combat in Incursion are unreasonably sluggish. If anything, the combat is punishingly fun. Players have the option to move through each area in either free or teleportation mode, the former of which may make some players more prone to motion sickness. Players move at a fast walk, which is still quick enough to get you into trouble if you’re not careful. Traversing the area with intention and keeping a sharp eye out for ammunition and health packs in your surroundings make the difference between an enjoyable game and rage quitting halfway through the first instance. 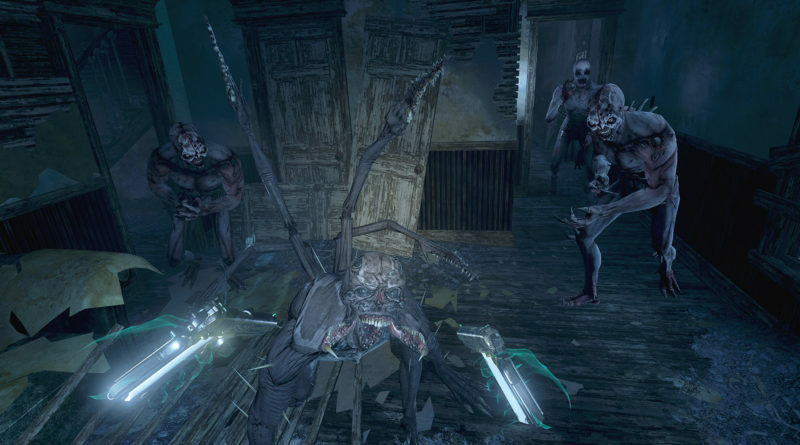 The storyline of Killing Floor: Incursion isn’t terrible, either. You’re training in simulations that aren’t quite loading as expected. Someone unauthorized has turned the creepy level up a few notches, leaving you training in a Zed killing field. 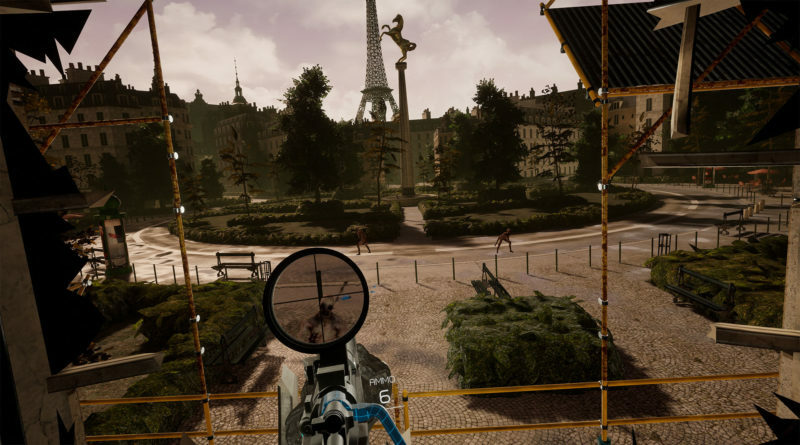 From sniper battles in Paris to clearing the necessary- if terribly trope- cabin in the woods, Incursion switches things up enough to keep players on their toes. Not everything is unexpected, however. Like all good survival horror games, Incursion announces upcoming boss battles the best way it knows how: visual markers. If you walk into an area and think “huh, this looks like a bottleneck into an arena,” you are almost certainly correct. Turn around and check the area for missed supplies, stick to melee combat to conserve ammunition, and check your health before heading in. Boss battles aren’t horrible in Incursion, but they aren’t great. If chaotic fun in the general spaces is where this game shines, boss battles are its Achilles’ heel. I wouldn’t call these poorly designed interactions, but the extra time spent in a confined space brings out technical glitches that go unnoticed throughout much of the game. Clipping into walls, occasionally lagging weapon response, and the odd enemy hit that doesn’t register correctly are excruciating when highlighted by repeat exposure. Having to practically come to a full stop to engage in combat, leaving you unable to dodge or strafe as well as you could in a non-VR game, is annoying. The few issues I had with Killing Floor: Incursion, it more than made up for with its replayable nature and cooperative mode. While you can’t bring as many friends as you’re used to, you don’t have to worry about your fourth stopping to puke and screwing the whole team. 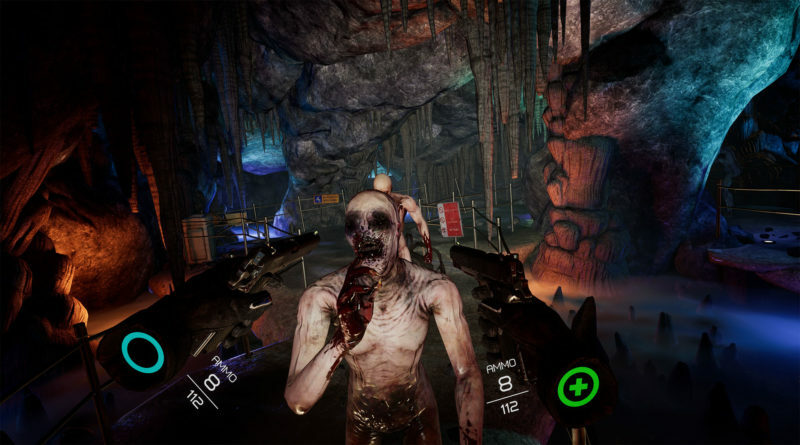 For players who’ve had a chance to acclimate to VR, Killing Floor: Incursion is the most fun you’ll have in a co-op game, aided by the chance to feel like you’ve got real comms gear and enemies oozing from every corner. I’m sure some players will also balk at the cost, but for developing a moderate-length VR-native game, the price is right. Besides, you’ve already shelled out for the unit, the computer, and the extras you need to personalize it for your own best experience. $30 is a steal for an enjoyable game that will help you get some use out of hardware that- for now- acts more often as a paperweight.